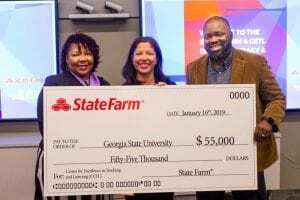 ATLANTA-Georgia State University’s Center for Excellence in Teaching and Learning (CETL) has received a $55,000 award from State Farm to expand programs and events to promote digital literacy. The award will fund increased access to workshops and events held by two organizations sponsored by CETL, the Digital Learners to Leaders program and PantherHackers student organization. Both organizations encourage students to explore technology through project-based and experiential learning. The Digital Learners to Leaders program is designed to inspire students, particularly those from backgrounds traditionally underrepresented in the technology industry, to pursue their technology interest. Participants seeking two- and four- year degrees in varying fields of study learn from technology professionals across Atlanta’s education, business, government and non-profit communities at workshops held on topics such as ideation, computational thinking, project management, entrepreneurship and professional communication. The program engages students in developing solutions to problems using digitization and the Internet of Things (the expanding number of everyday objects that collect, share and act on data using Internet connectivity). The PantherHackers student organization acts as a peer-learning community, which hosts campus-wide bootcamps on digital skills and professional concepts and invites students to participate in events such as hackathons and collaborative development sessions. With support from the State Farm award, both programs will be able to offer more events to promote digital literacy, introduce students to technology and provide exposure to related professional experiences. 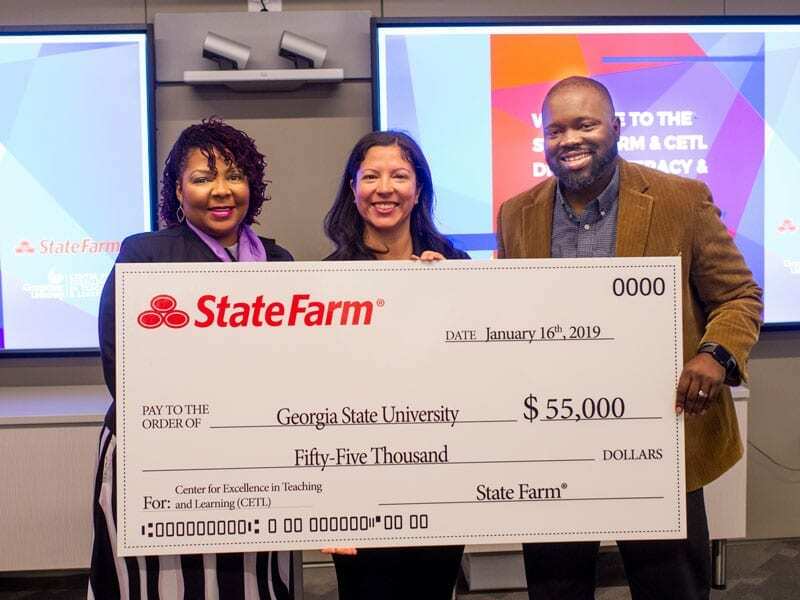 “State Farm is committed to bridging the technology divide, and to do so we embrace partnering with organizations promoting advancements in technology,” said Victor Montgomery, technology manager at State Farm.